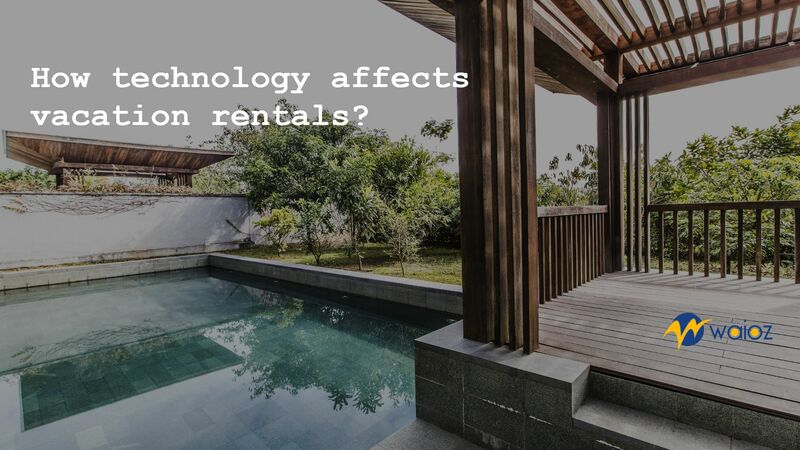 Technology has already started to breach the boundaries of vacation rentals and real estate solutions. With the landscape of property management evolving by year and rapidly at it as well, the need for software solutions to supplement the traditional property management is the need of the hour. However, this surge in technological support in property management hasn’t been fully quantified - until quite recently. To support this article, WAIOZ has used the help of a report, published by Transparent to validate the points put forth in this article. 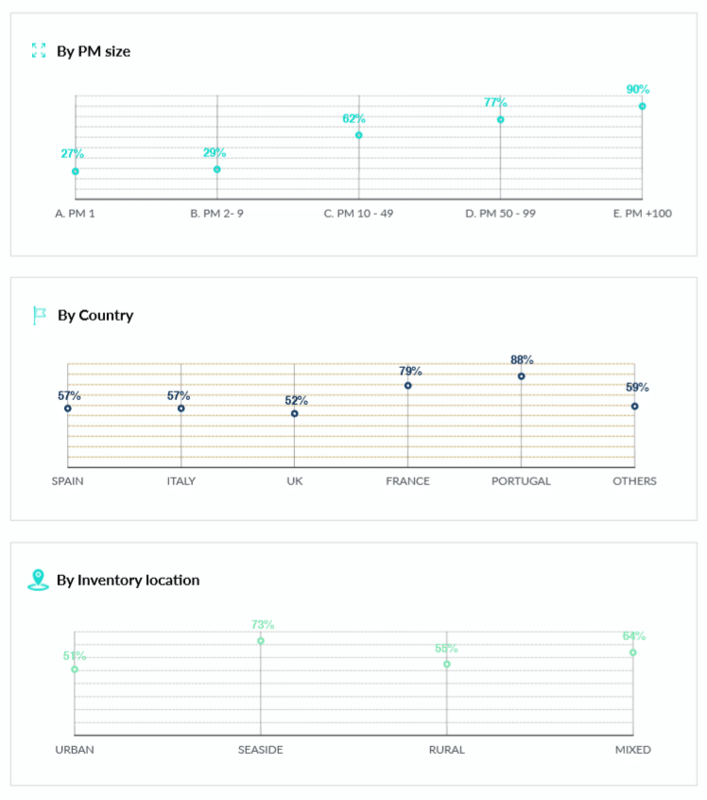 With a survey spread over 500 property managers across Europe, the report generated can be presumed as an apt sample set data for Property managers and rental home owners across the world. The key insight found through the survey was that the industry in itself largely defined by two marketing models, urban and leisure. Urban model mainly covering real estate, hotels, hostels etc while leisure models include resorts, shanks, vacation homes. Although PMs use quite a few technology to run their business, the predominant once are Property Management Software and Channel Managers. 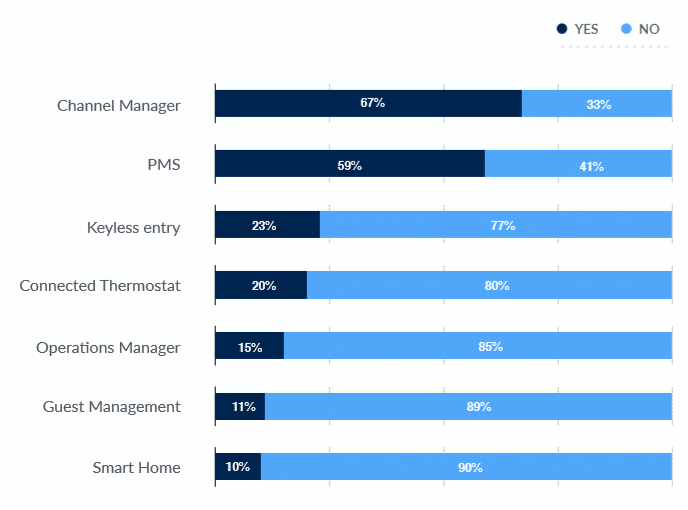 Approximately 67% of the PMs use channel managers to assist them in managing their properties, while 59% make use of a property management software to assist them in managing the properties. The survey has detailed report on the use of property management software amongst the dataset. A general schema reveals that bigger property managing firms resort to the use of property management software. Over 90% of PMs who have over a 100 properties under their control resort to PMS to help them with managing the properties. The number of properties managed by property managers directly results in the trend in using property management software. This seems to be even more prevalent in luxury vacation rentals with sharp rise in seaside resorts and vacation homes. A similar trend can also be observed in case of using channel manager to support the property managers. Larger PMs again resort to the use of channel managers to manage properties across multiple renting websites. While luxury rentals still have a major impact on the use of channel manager as a technological aid. Although more urban homes also use channel managers to manage their properties on rent. The use of technology in case of larger PMs shouldn’t come as a surprise as managing multiple properties manually can be cumbersome and error prone. While automating the process with tech aid reduces the work load on PMs and enables an easy management portal for them. However, the smaller PMs need to wake up to the trend and use such technological solutions to keep them on their toes and challenge the bigger PM firms. Operating manually might seem like a cheaper option in the short-term, but it puts the scalability of the firm under risk and makes it an easy out reach of their properties to the guests on such portals. To concise the article, use of technological aid to assist your properties is a necessary investment that will enable you to go toe to toe with the bigger PMs in your region. 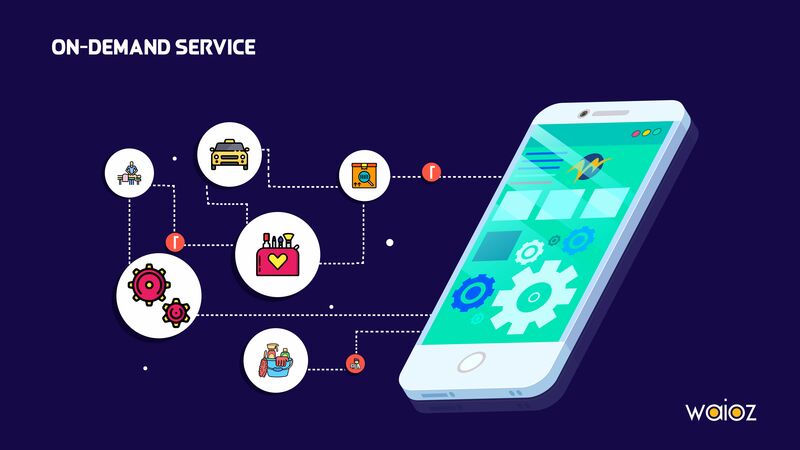 If you are looking for such technological aid to support your vacation rentals, WAIOZ offers a full scale property management software that is compatible with most channel mangers as well. Cherry picking the best use cases across the market, Dwell is fully functional and an efficient rental management platform to assist you in staying ahead of your competitors. Contact us for a demo and brief on how Dwell would be your perfect property management software.